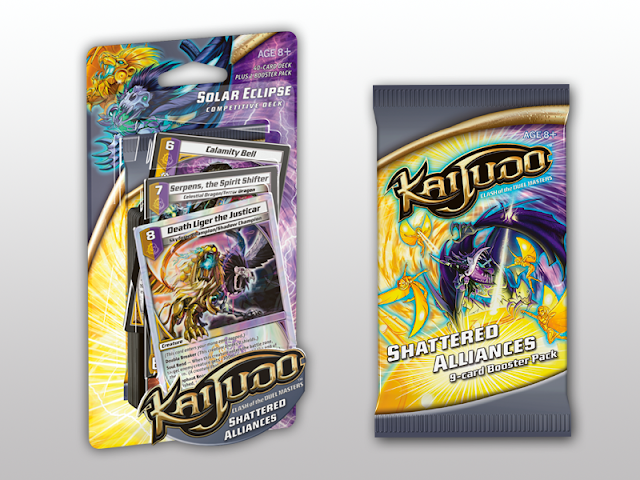 Wizards of the Coast has announced the new Kaijudo™ – Shattered Alliances set available at retail stores. The set is a game-changing expansion, adding 90 brand new cards and introducing five new civilization combinations. 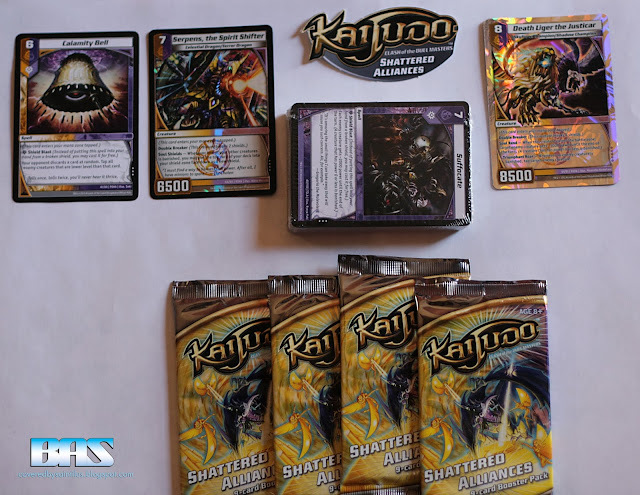 Clash of the Duel Masters introduced the first multi-civilization cards, but now Shattered Alliances follows up with the remaining five civilization combinations, enemies that are unlikely allies in a huge war that’s gripped the entire Creature Realm. These new combinations make building multi-civilization decks even easier for players and open up new strategies for Kaijudo. Shattered Alliances adds 90 brand new cards to Kaijudo, giving players dynamic options for deck building that redefine the meta game. 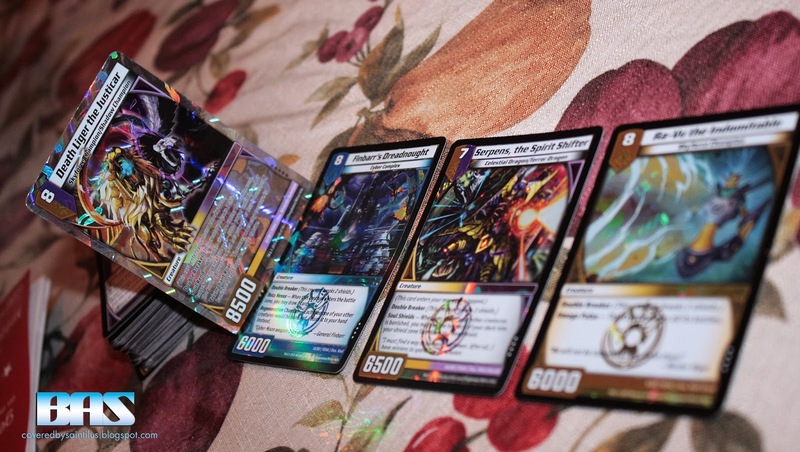 The set introduces powerful new mechanics and two new Super Rare foil Monarch cards: Haven of the Light Civilization and Queen Kalima of the Darkness Civilization. It also features a very exclusive new creature card Death Liger Justicar, which is featured in the Competitive Deck release, Solar Eclipse! The new deck host more fearsome creatures that are hybrid creatures. Creatures that are of both Light/Darkness, Water/Fire, Light/Fire, Water/Nature, and Darkness/Nature. 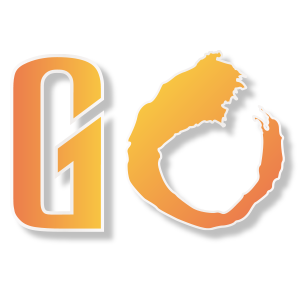 So now when building mana you not as obligated to build mana for just one specific type of creature. 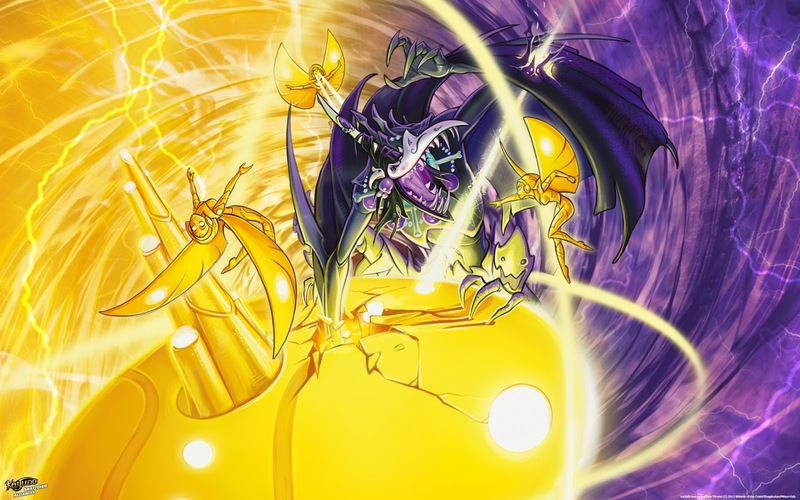 These hybrids also grant their users the ability to attack as soon as they are summoned. 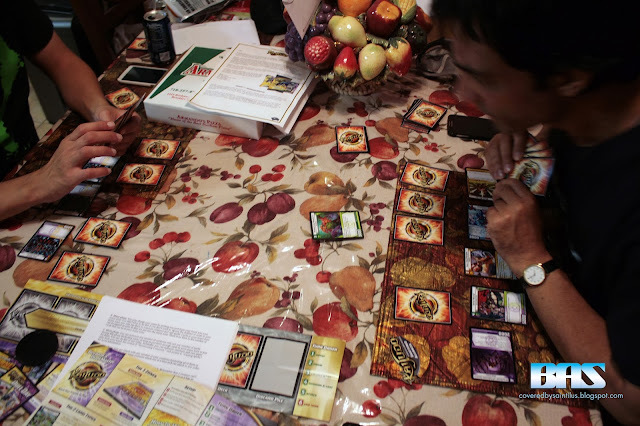 In my opinion that really helps improve the pace of the game more and puts both players in a position to really plan out a strategy that allows for attacks and counter attacks in a single turn. 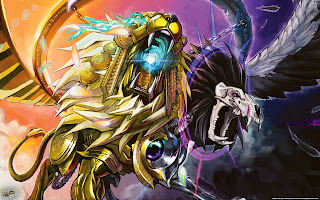 A creature card like Death Liger the Justicar has; a Double Break ability, a Soul Rend which gives the target enemy -3000 power until the end of his opponents turn, and a Triumphant Roar which puts their opponent's creature card into a tapped state after banishing an opponent's creature. With a card that powerful in play it can either back you into a corner, or it can bring out a great strategy to defeat it.